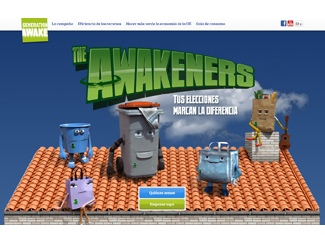 'Generation Awake' is a European Commission campaign which aims to promote the efficient use of resources. It shows what we can do in our daily lives to reduce waste and use of a more sensible use of natural resources like water, energy, wood and metals. In 2014, this campaign is focusing on better management of waste, one of the key to achieving the goals of ecological economics elements. Organic, green or circular economy is based on a system that optimizes the flow of goods and services for the best raw materials and reducing waste to a minimum. On average, only 40% of household waste in Europe is recycled or reused in some countries, the amount of waste that goes to landfills rises to 80%, according to campaign officials. Each European produces an average of 500 kilos of household waste, which is a huge amount of wasted materials. The green economy is based on turning waste into a resource. Everything can be reused, recycled or, ultimately converted into compost or waste derived fuel (CDR) is only a question of waste, and manage them properly. 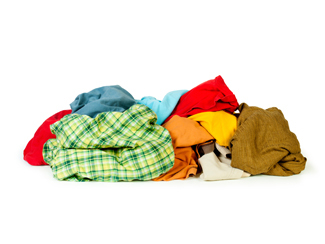 The campaign includes a specific section on used clothing: first, stresses the importance of taking into account the natural resources needed to produce garments, promoting responsible consumption, on the other, invites buy second hand clothes, sharing clothes and textiles that you donate no longer needed. Therefore, the optimum textile and recycling textile waste management are fundamental. The textile recycling helps protect the environment by reducing in part the volume of waste generated, giving a second life to a garment that would otherwise go to landfill. With the reuse of clothing and footwear is achieved likewise reduce the consumption of natural resources such as water and fossil fuels, and fertilizers and pesticides used in the production of raw materials for the textile industry. In addition, reusing or recycling textiles CO2 emissions are reduced. In the case of Humana, the textile recycling also acts as a tool to generate funds for programs of cooperation in the South and welfare in Spain.